Today’s lesson is about 頻度 ( = hindo) frequency in Japanese. Do you go abroad often? には ( = niwa) makes the sentence sound a bit softer. = Koko niwa yoku kuru no? = Do you come here often? = Koko niwa yoku kimasu ka? = Kochira niwa yoku irasshaimasu ka? = Isshuukan/shu ni nando (gurai) kanojo ni au no? （About) How many times a week do you see your girlfriend? = Kono kusuri wa ichinichi ni nankai nomeba ii no desu ka? How many times a day do I have to take this medicine? = Ikkagetsu/hitotsuki ni nankai (gurai) tenisu wo shimasu ka? = (About) How many times a month do you play tennis? = (About) How many trips a year do you take? = Ishuukan ni nankai (gurai) gaishoku(wo) shimasuka? = How many times a week do you go out to eat? = Dono gurai no wariai de sentaku wo shimasu ka? = How many times a week do you do laundry? = Dono gurai no hindo de haisha ni kayotte imasuka? = How often do you go to the dentist? = ~shita koto (wa) arimasu ka? = Have you ever ~~? = Hai, ~ shita koto ga arimasu. = Iie, ~shita koto ga arimasen. We’ll see more patterns later. Here’s a list of frequency words(mainly adverbs) for you. Note : Usually you can find a simple list from “always” to “never” in Japanese everywhere. However let me tell you one thing before you go through the list. = Anohito wa itsumo koko ni kuru. = Anohito wa shocchuu koko ni kuru. = Anohito wa yoku koko ni kuru. = Anohito wa hinpan ni koko ni kuru. いつも ( = itsumo) is always and しょっちゅう ( = shocchuu), よく ( = yoku), and 頻繁に ( = hinpanni) are often or frequently. So in summary the literal meaning of a word is often different from the conversational meaning. The speaker arbitrarily assigns frequency by intention, intonation, etc. = Anohito wa tokidoki koko ni kuru. = Anohito wa chokuchoku koko ni kuru. 時々 ( = tokidoki) is sometimes, ちょくちょく ( = chokuchoku) is often in dictionary definition but we meant to use them as “always” as well. So in conversation, the line between the frequency rate is blur in a way. So I will put the dictionary definition anyway but please keep it in mind. = I always stop by a convenience store. = Itsumo itsumo onaji koto bakari iwasenai de! = Don’t make me repeat the same thing over and over! 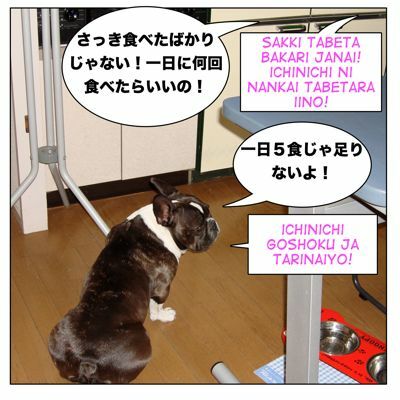 We also say いっつも ( = ittsumo) in conversation. = Kanojo wa shocchuu ryokou ni itte iru. = She goes traveling frequently/often/ always. = Maggie kara saikin hinpan ni denwa ga kakatte kuru. = Maggie calls me very often recently. = Kare wa hinpan ni sono mise ni deiri shiteiru rashii. = I heard he goes to the bar frequently. = Kanojo wa kare no ie ni ashishigeku kayotte iru. = She goes over her boyfriend’s house frequently. = Yoku kono mise ni kimasu. We keep running into each other. = (Watashitachi) Futari ga dokode deatta no ka shibashiba kikareru. = People often ask me how we met. = Kono mise ni kare wa shibashiba arawareru rashii. = They say he comes here (store/bar/restaurant) often. = Tabitabi onaji mondai ga okoru. = We often have the same problems. = Kare wa chokuchoku kurasu wo yasumu. = He is often from the class. = Kare wa shikiri ni watashi no kojintekina koto wo kiite kuru. = He often/ frequently asks me about my private matters. = Saikin shikiri ni toire ni ikitaku naru. = I need to go to the bathroom more frequently recently. = Kaigai ni iru to tokidoki omisoshiru ga nomitaku narimasu. = When I am abroad, I sometimes miss miso soup. When I go out every once in a while, I can’t help buying a lot of stuff. I don’t play golf very often. = Biyou in niwa sonnani ikanai. = I don’t go to the hair salon very often. = Metta ni paatei niwa ikimasen. = I seldom go to parties. = Kinjo no hito to hanasu koto wa hotondo nai. = I almost never talk to my neighbors. = Betsu no busho no hito to hanasu koto wa mattaku nai. = I have never talked to the people who work in the other departments. = Depaato ni wa zennzen iku koto wa nai desu. = I never go to the department store. = Watashi no chichi wa zettai ni isha ni ikitagaranai. = My father never wants to go see a doctor. = Ane wa hi ni yakeru no ga iya nano de umi ni iku koto wa kesshite nai. = My sister hates to get suntan so she never goes to the beach. = Tanomaretemo kare no ie ni wa ikanai. = Even if you beg me, I won’t go to his house. = Shindemo annna tokoro ni ikanai. = I wouldn’t be caught dead at such a place. →There is NO WAY that I will go to such a place. Note : Besides formal Japanese (especially vertical text), we don’t always write numbers with Kanji. = Mae ni ichido dokokade oai shita koto wa arimasen ka? = Have we met somewhere before? = Imamade ni ichido mo hawai ni itta koto ga arimasen. = I have never been to Hawaii before. = Izen ni nisando ano hito no ie ni itta koto ga arimasu. = I have been to his house a couple of times before/in the past. = Nando mo supein ni itta koto ga aru. = I have been to Spain many times. = Kono hon wa omoshirokatta node nanben mo yonda. = This book was so interesting that I read it over and over. = Kare ni ikudomo onaji shitsumon wo shita. = I asked him the same question over and over. = Isshuukan ni ikkai byouin ni kayotte iru. = I go to the hospital once a week. = Ichinen ni nido gurai chichi no ohaka mairi ni ikimasu. = I go visit my father’s grave about twice a year. = Ichinichi ni hana ni mizu wo yaru. = I water the flowers every other day. = Gakkou ni mainichi ikimasu. = I go to school every day. = Maiasa gyuunyu wo nomimasu. = I drink milk every morning. = Please take this medicine after each meal. = Sono akachan wa ichinichi zutto naiteiru. = That baby has been crying all day long. = Ishuukan zutto ame ga futte iru. = It has been raining the whole week. = Kanojo wa shijuu jibun no koto bakari kangaete iru. = She’s always thinking about herself. = Maggie wa renjitu renya hataraite iru. = Maggie has been working day and night. = Konsaato wa yojikan buttsuzuke de okonawareta. = The concert lasted a good 4 hours. = Watashi wa chuuya yasumazu benkyou shita. = I studied round the clock. = Kinou wa ichinichi juu ie ni ita. = I stayed home all day long yesterday. She checks on my private life often. = Tsugitsugi to/ Tsugi kara tsugi e to atarashii mondai ga okite kuru. = Things keep happening. / It’s one thing after another. =Uchi no ko wa himasae areba manga wo yonde imasu. = My kids are read manga anytime they have a free time. = Sakki tabeta bakarija nai! Ichinichi ni nankai tabetara iino! •さっき ( = sakki) a while ago, just now. = Ichinichi goshoku ja tarinaiyo! = Saa koko de mina ni shitsumon desu. = Here’s a question for everyone! =Kono saito ni donogurai no wariai de kimasu ka? = How often do you visit this site? = Nani? Isshuukan ni ichido dake? = What do you mean by once a week!! =Mainichi konakuccha dame desu yo! = You should come here EVERYDAY!!! Let me try! Let me try!! How many times do you see your family a year? No grammatical mistake but 頻度 sounds a bit too formal to listen to the music. Any way you did good job!